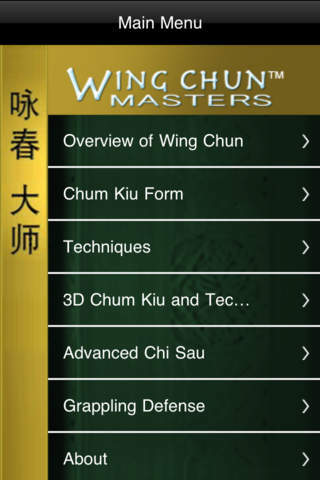 Wing Chun Masters 2 is an educational martial arts application which users will find extremely helpful. 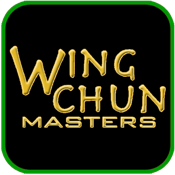 Veterans, beginners and even those just curious about the effective Wing Chun system will find a vast and helpful collection of knowledge in an hour’s worth of videos as well the many pictures and text found in this application. From Grandmaster Ip Chun (the son of world renowned Great Grandmaster Ip Man) this application teaches the traditional movements and techniques of Wing Chun. * Thorough breakdowns of each technique to guide you. * A step by step breakdown of the Chum Kiu Form. * Advanced lessons in Chi Sau. * An all new section teaching defense against potential grappling situations! * A collection of animated as well as live action videos. * Extra text sections and photos to help supplement your curriculum. * No need for Wi-Fi or a data connection to watch videos. Don’t miss out on this opportunity to learn Wing Chun in the most convenient way possible, from the palm of your hand! Do you have an interest in martial arts?